Costco, Sam’s Club or BJ’s: Which Wholesale Club is Cheapest? I probably don’t have to tell you buying certain grocery and household items in bulk could save you a ton of money. But warehouse club memberships are expensive. And how do you know which one gives you the most bang for your buck? You can’t usually take a stroll through one before you sign up! We put Costco, Sam’s Club and BJ’s head-to-head, comparing prices of some common bulk-buy items to see which store offers members the most savings. It’s important to remember prices might differ from location to location, so your mileage may vary. But since I live in a pretty mid-price-range area (near Tampa, Florida), this should be a good indication of the average prices at each store, and should help you make an informed decision about which club might be best for you. The first factor is the annual membership fee you’ll pay before you can shop, and what it gets you. For the purposes of this post, we’ll compare the rates of the base (aka, the cheapest) memberships, which basically just get you in the door. The clubs each offer higher tiered memberships with perks like cash-back rewards, but they’re all at least $100, and 2% cash back on select purchases probably isn’t going to pay for that! BJ’s costs $50 for a personal membership, and you get a free second card for someone in your household. Costco’s the priciest at $55, but you do get a second member card for free. While the chain is well-known for its dealbreaking cash-or-AmEx-only policy, it will (finally!) begin accepting Visa credit cards and Visa or Mastercard debit cards on April 1, 2016. Finally, you can get a Savings Membership at Sam’s Club for just $45, the most affordable option of the bunch. Now, let’s dig into the items to fill your cart once you get through the door. First, we’ll look at the food items you and your family probably eat every day. These are great to buy in bulk since you always need them, and a lot of them are non- or only semi-perishable. BJ’s 25-pound bag of rice is $9.89. Costco’s 25-pound bag of rice is $9.49. Sam’s Club offers a 20-pound bag for $7.23. Winner: Pound for pound, Sam’s Club’s rice comes in cheapest at 36 cents per pound — even though it’s in a smaller bag! BJ’s has 10 pounds of dry pintos for $6.42. If you’re looking for canned, prepared beans, BJ’s has a pretty decent deal on an eight-pack of 16.5 ounce Bush’s — they’re $9.59 at my club. Costco has a 10-pound package of black beans for $13.69 — it may have been out of pintos the day I went! Its Bush’s eight-pack of 16.5-ounce cans is just $8.99, however. Sam’s Club’s 10-pounder of pintos is $5.79. It carries the same package of Bush’s for $8.98. Winner: Looks like Sam’s Club takes the lead again. Do I look like a health-food nut if I include quinoa under staples? Sorry, not sorry. BJ’s carries a 2-pound bag for $9.99. Costco’s got 4 pounds for $11.99. Score! Finally, Sam’s Club boasts a 2-pound bag for $8.98. BJ’s stocks a two-pack of 48-ounce Jif extra creamy for $9.99. Costco’s got a two-pack of its proprietary Kirkland organic peanut butter for $9.99 — but they’re 28-ounce cans, not 48. It also carries the Jif package I found at the other two stores for $10.29. Finally, Sam’s two-pack of Jif was just $9.28… but each can is 40 ounces, as opposed to BJ’s 48. It’s about half a cent more expensive per ounce. Winner: BJ’s has the best bang for your peanut-buttery buck. BJ’s carries a two-pack of white Wellsley Farms for $2.49. Since bread freezes well, that’s a pretty awesome deal! Costco carries a two-pack of white Nature’s Own for $4.29 — and had a lot of fancy, fresh breads in the $7 range. Sam’s Club lowest-priced bread offering is a two-pack of 20 ounce soft white loaves for $3.48. Winner: BJ’s has your sandwich covered. I love to keep chicken breasts in the freezer for whenever I need them — they’re quick, easy and healthy. And frozen vegetables are the next best thing to fresh. BJ’s stocks a 6.5-pound bag of Tyson chicken breast for $16.99. It also had a 5.5 pound bag of mixed veggies for $6.49. Costco also carried a $16.99 bag of chicken — and each breast was individually wrapped, which is convenient. As far as veggies, the closest thing I could find to compare was a four-pack of 12-ounce packages of steamable broccoli, which it sold for $6.99. At Sam’s Club, I can get 6 pounds of Tyson boneless chicken breast for just $13.96. It had 4 pounds of frozen broccoli — all in one bag — for $5.98. Winner: Sam’s Club was cheapest for both chicken and veggies. BJ’s has a 30-pack of Frito Lay chips for $12.69. Costco’s 30-pack is a few cents cheaper — $12.39. Sam’s Club, though, carries a 30-pack of Frito Lay (the “Flamin’ Hot” varieties!) for just $9.94. Yum. You’ve gotta keep those pantry shelves stocked with more than just food items. Here are some common household goods, and where to get the best prices on them. Everyone needs a supply of this ubiquitous painkiller — it’s the same as Advil. You’ll save a ton by buying the generic version these warehouse stores offer. BJ’s brand is called Berkley Jensen (get it? BJ’s?) — and you can get 1,000 200mg tablets for just $9.99. I’ve definitely paid that amount for a pretty dinky bottle of Advil Liqui-Gels before. This comes in at just under a cent a pill. You can get 750 200mg tablets from Costco for $10.49 — not quite as great of a deal, at 1.3 cents a pill. Sam’s Club offers a two-pack of bottles of 600 200mg pills for $10.88. So that’s 1,200 pills total — and a few fractions of a cent better than BJ’s offering. BJ’s has a 48-count of Charmin Basic Giant rolls for $24.99. It looks like Costco only carries the slightly-nicer Charmin Ultra Soft — you can get a 30-pack of Jumbo Rolls for $32.99. Sam’s Club has a 24-pack of Charmin Ultra Soft for $22.48. I compared the prices offered on my personal favorite brand of paper towels — Bounty. It offers fun prints and different sizes, but for the purposes of this experiment I kept it simple: 12 rolls of plain old white paper towels. BJ’s package of 12 super-sized rolls goes for $18.79. Shockingly, the same product is more than $10 more expensive at Costco. Sam’s Club only offers the 12-pack in Select-a-Size half-sheets, which drive me nuts. But, some folks (hi, mom!) swear by them for extra savings. You can grab it for $19.98. Winner: This one goes to BJ’s! At BJ’s, you can get 200 13-gallon bags for $13.99, or 50 55-gallon bags for $15.99. Costco sells 500 16-gallon bags for $42.99, or 100 55-gallon bags for $42.99 — significantly steeper, but perhaps sturdier? Sam’s Club has 200 13-gallon bags for $12.96, and their 80-count pack of 55-gallon bags is $19.92 (but when I checked, they were on sale for $19.17). Winner: On pure price per bag, Sam’s Club is in the lead — but we don’t know which brand holds up best! You can’t forget your multivitamin in the morning! BJ’s has a 500-count adult multivitamin for $13.99. Costco sells a similar product for $14.49. Finally, Sam’s Club’s multivitamin is only a 400 count — but also only costs $11.48. Winner: On price per pill, BJ’s is in the lead by a few fractions of a cent. BJ’s brand 140-count diaper package is $22.99, and it sells a Luv’s 264-count for $34.99. Costco’s Kirkland Supreme 174-pack is $38.99 and it sells a 192-count packs of Huggies for $37.49. Sam’s Club’s 200-count proprietary is $38.94. Winner: BJ’s is the clear winner, here — its diapers are just 13 cents each, while Costco’s come in dead last at almost 20 cents each. BJ’s offers proprietary brand, 800-count Green Tea and Cucumber baby wipes for $12.49. Costco’s Kirkland Signature brand makes 900-count packages of baby wipes for $19.99. Finally, Sam’s Club’s Member’s Mark brand sells 1,000 baby wipes for $17.86. Winner: BJ’s is in the lead — its wipes are a fraction of a cent cheaper than Sam’s Club’s, while Costco again comes in last. If you already have a membership, consider using it next time you need to replace an appliance, major or minor. Here’s which warehouse club stores have the best deals on select kitchen appliances. BJ’s has this Frigidaire model for just $799.99 including home delivery online — but I didn’t see any fridges in person. Costco had fridges on display… but none of them cost less than $3,000. And I didn’t see any full-sized refrigerators at Sam’s Club. The lowest-priced fridge at Brandsmart right now is still more expensive than the BJ’s deal I found… so it’s not a bad option! This most important kitchen item can cost you a little or a lot, depending on the kind of machine you get. I’m a coffee snob and a Penny Hoarder, so I sprung for a Chemex pourover carafe and will never look back again. But for our purposes here, I’ve compared each store’s cheapest drip coffee machine. BJ’s carried a 12-cup Mr. Coffee for $24.99. Costco had the same thing for $29.99. Sam’s Club didn’t have any on display… but you can get this 14-cup drip brewer for $49.98. Winner: BJ’s keeps you perked up! 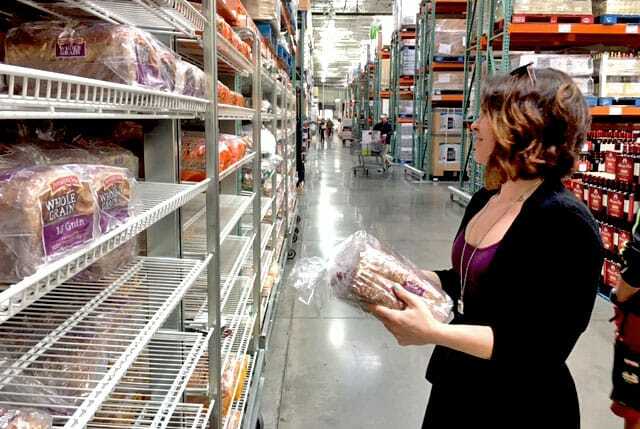 While it’s hard to call out one winner since prices vary by store and are sometimes unavailable online, one thing seems pretty obvious: Costco is the priciest warehouse store, from membership fees to its goods. BJ’s technically won in this head-to-head competition, but Sam’s Club had the better deal in several instances. Sam’s Club also had the cheapest membership fee of the bunch. Our advice? Pick between BJ’s and Sam’s, depending on which one you live closest to — and what specific products you need to buy. Check out our tips for taking advantage of warehouse club store prices without becoming a member. And if you do already have a membership (or are now planning on getting one), make sure you’re making the most of it! Your Turn: What’s your favorite warehouse club store? Will you get a membership if you don’t have one? Jamie Cattanach is a staff writer at The Penny Hoarder. She also writes other stuff, like wine reviews and poems — you can read along at www.jamiecattanach.com.